On his death in 2007, Richard Rorty was heralded by the New York Times as “one of the world’s most influential contemporary thinkers.” Controversial on the left and the right for his critiques of objectivity and political radicalism, Rorty experienced a renown denied to all but a handful of living philosophers. 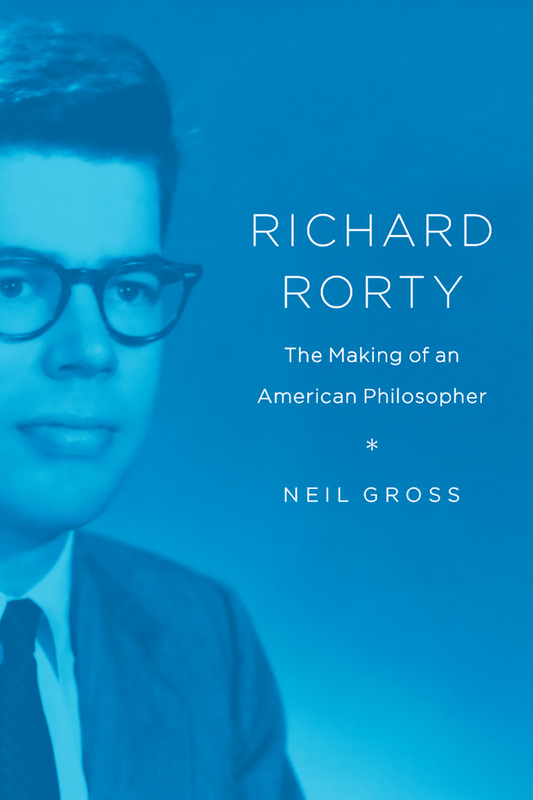 In this masterly biography, Neil Gross explores the path of Rorty’s thought over the decades in order to trace the intellectual and professional journey that led him to that prominence. The child of a pair of leftist writers who worried that their precocious son “wasn’t rebellious enough,” Rorty enrolled at the University of Chicago at the age of fifteen. There he came under the tutelage of polymath Richard McKeon, whose catholic approach to philosophical systems would profoundly influence Rorty’s own thought. Doctoral work at Yale led to Rorty’s landing a job at Princeton, where his colleagues were primarily analytic philosophers. With a series of publications in the 1960s, Rorty quickly established himself as a strong thinker in that tradition—but by the late 1970s Rorty had eschewed the idea of objective truth altogether, urging philosophers to take a “relaxed attitude” toward the question of logical rigor. Drawing on the pragmatism of John Dewey, he argued that philosophers should instead open themselves up to multiple methods of thought and sources of knowledge—an approach that would culminate in the publication of Philosophy and the Mirror of Nature, one of the most seminal and controversial philosophical works of our time. In clear and compelling fashion, Gross sets that surprising shift in Rorty’s thought in the context of his life and social experiences, revealing the many disparate influences that contribute to the making of knowledge. As much a book about the growth of ideas as it is a biography of a philosopher, Richard Rorty will provide readers with a fresh understanding of both the man and the course of twentieth-century thought. "Rorty granted Gross access to his papers and correspondence, and Gross uses this material very effectively. . . . This inside view of one of the most well-connected academics in the world can’t help but fascinate us." "Essential for academic sociology, philosophy, intellectual history, and biography collections in academic libraries, as well as for public libraries collecting comprehensively in those subjects." "Combining biographical description and sociological analysis, Gross has produced a trenchant study that aims to identify the structural forces that helped shape one of America’s most controversial and widely discussed philosophers." "I highly recommend Neil Gross’s biography to all persons who are interested in Rorty, contemporary philosophy, and the socioogy of ideas. This is a first rate work." "Gross’s careful archival research, innovative theoretical synthesis and substantive contributions are likely to help inspire a range of new studies on the sociology of philosophy and the humanities. The book is well worth a careful read. . . . The story of academic social mobility that Gross tells is compelling, the book is a terrific read that is likely to become a classic, and the theory of ’intellectual self-concept’ is well worth building on and developing."